TORONTO -- The Canadian Civil Liberties Association launched a lawsuit Tuesday against all three levels of government involved in a bid to bring a high-tech neighbourhood to Toronto's downtown core. Federal, provincial and municipal governments are all named in the notice of application filed by the civil rights and freedoms group, which has been threatening since March to launch legal action over the yet-to-be-approved Quayside project. 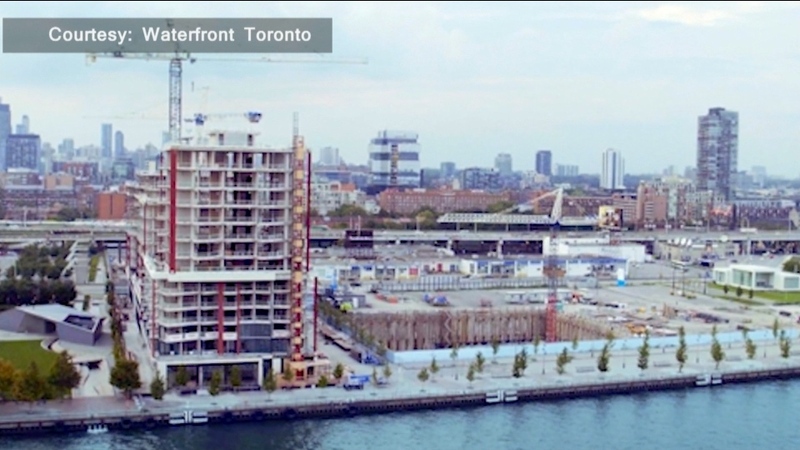 The suit also names Waterfront Toronto, a local organization that's partnered with Google sibling company Sidewalk Labs to develop five hectares of waterfront land into a "smart city" with high-tech sensors built into nearly every aspect of its infrastructure. A notice of application announcing the suit alleged the project is replete with potential privacy breaches that violate Canadians' constitutional rights. At a news conference announcing the suit, association Executive Director Michael Bryant called for a complete "shutdown and reset" of the partnership with Sidewalk Labs, an independent company that shares the same parent company as Google. "The laboratory of Sidewalk Labs, you see, is your community," Bryant said at the news conference. "Scientists profit from your behavioural data. Canada, Toronto, you are the lab rats." Waterfront Toronto said in a statement that since it has not yet received Sidewalk Labs' master plan for Quayside, it cannot assess the claims in the association's suit. A spokesperson for federal infrastructure minister Francois-Philippe Champagne also emphasized the lack of a concrete proposal, adding the government was committed to seeing the Quayside project unfold in "an ethical and accountable fashion." The Ontario government said it would be inappropriate to comment on the legal action, which also names private citizen Lester Brown as a complainant alongside the association. A spokesman for Toronto Mayor John Tory said Sidewalk's final proposal for Quayside will go through "full public scrutiny" for a variety of issues, including those raised in the lawsuit. 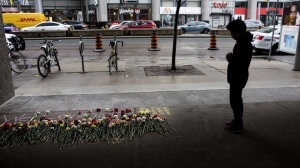 Word of the suit comes weeks after the association sent letters to Prime Minister Justin Trudeau, Ontario Premier Doug Ford and the Toronto mayor warning it was considering legal action over the Sidewalk collaboration. The Quayside project, which still needs further approvals from all three levels of government, involves bringing affordable housing, heated sidewalks, so-called raincoats for buildings and autonomous vehicle infrastructure to the city's waterfront. 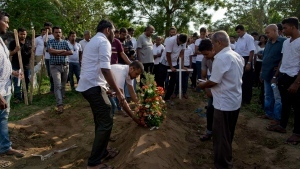 It has been mired in controversies over data and privacy concerns due to the vast amounts of information it could collect through phones, sensors and other devices imbedded in the neighbourhood's infrastructure. 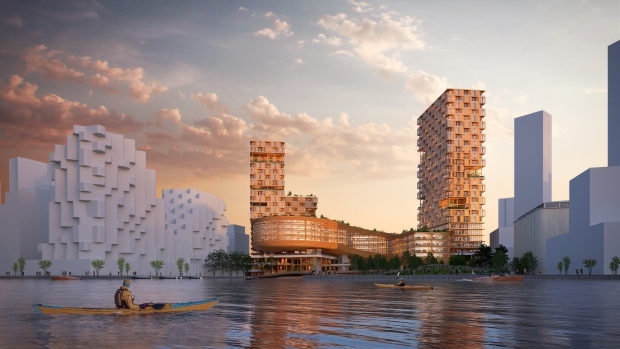 The suit seeks to nullify Sidewalk Labs' partnership agreement with Waterfront Toronto, alleging the local development organization does not have the authority to create a digital governance policy for the Quayside project. The suit also makes numerous arguments centred on the Charter of Rights and Freedoms, alleging that the collection of personal data infringes on a host of civil liberties. "The data capture will be or will likely be carried out without the meaningful informed consent of its target individuals and for inappropriate purposes," the notice reads. It also claims that the "non-consensual surrender by the state to Sidewalk Labs and/or others of private data" will discourage, limit or even make it impossible for individuals to assemble and associate freely and anonymously to pursue legitimate social goals, personal and public activities and civic engagements. "This curtails or negates critical freedoms in a democracy where collective behaviour plays an important political and social role," it reads. Although Sidewalk Labs was not named in the suit, its chief executive officer said the association was being too hasty with its legal action since the project remains in the proposal stage. "I think what surprised me a little bit was that nobody was sort of prepared to give us the benefit of the doubt," Dan Doctoroff said in a speech Tuesday at the Canadian Club in Toronto. Sidewalk later issued a statement critiquing the association's lawsuit and repeating previous promises not to use any data for commercial or advertising purposes. "Sidewalk Labs fully supports a robust and healthy discussion regarding privacy, data ownership and governance. But this debate must be rooted in fact, not fiction and fearmongering," spokeswoman Keerthana Rang said in a statement. "It's unfortunate that once again the CCLA has chosen to mischaracterize our work and our engagement with the people of Toronto." Rang said an unspecified independent third party will be responsible for managing the data collected as part of Quayside. After it was revealed in February that Sidewalk was hoping to collect a cut of the city's property taxes and development fees in exchange for funding a light rail transit line, some city councillors also expressed reservations about the project.